Places to see in Satapada: Dolphin sightseeing is the greatest attraction of this exotic lake resort. The Dolphin Motor Boat Association has plenty of boats, which you can hire to enjoy this adventurous activity. As the motorboats approach the Dolphin points they switch off their engines to maintain complete silence. If you wait for few minutes, you would see dolphins frolicking in the water. For more photos of Satpada click here. A visit to the Nalaban Island which is the home to a huge number of migratory birds within Lake Chilka is also a nice and fulfilling experience. It has been declared as a bird sanctuary under the Wildlife Protection Act in 1973. It is the heart of the park. During monsoon, the island gets flooded and it emerges after monsoon. The vast lake is the haven of 225 species of birds, algae and aquatic plants, a large variety of phytoplankton and around 350 species of non-aquatic plants. Some other areas, which also record high concentration of birds, are Parikud Island and the western shores of the Northern sector. Sunrise and sunset over Chilka from Satpada is heavenly. Nearby attractions of Satapada: The Rambha bay nestled at the southern end of the lagoon is admired with numerous islands. The site offering visual pleasure was popular among the British as picnic ground. It is an un-parallel site for Island trip as each island features some uniqueness. Pay a visit to the Honeymoon Island, nestled in the Rambha Bay near the Sankuda Island. It is located 5 km away from Rambha Jetty. Honeymoon Island is also popularly known as “Barkuda Island.” The Breakfast Island is located in the Rambha Bay between Badakuda and Somolo Island. This island is shaped like a pear and enriched with exotic flora. You will find the ruins of a dilapidated bungalow here built by the king of Kalikote. 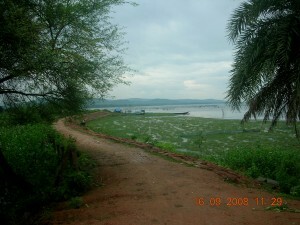 The Beacon Island is also a very charming location, bordered by the Eastern Ghat. You will admire the Khalikote hill range, forming an enchanting backdrop of the Somolo and Dumkudi islands. You can also visit Bird’s Island, located in the southern sector of Chilka. The island is shrouded with herbs, shrubs, creepers and trees. Some local birds use the island as perching ground round the year. The island also gives shelter to migratory birds during winter. The Bird’s Island is known for its rich algal communities and limited mangrove species. The religious minded tourists could visit the Kalijai Temple, dedicated to Goddess Kalijai. You can also make a trip to the small island of Barunkuda, near Magarmukh, which has a shrine of Lord Varuna. 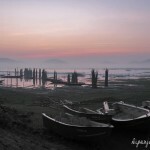 You can also visit Nabagraha, located near the village of Berhampur. The Bhabakundeswar temple of Lord Shiva, located at Manikpatna is also worth a visit. Around two km from Rambha, Goddess Narayani admires the valley hilltop, which is girdled by a stream. It is a favorite picnic spot for tourists. Another center of religious activity is Banpur, housing the famous temple of Goddess Bhagabati. The place is 42 km from Rambha. Another sought after tourist destination is Nirmalihara, located around 11 km from Rambha. The place is highly revered as a pilgrimage spot. Things to do in Satapada: Tourists mainly make trip to Satapada to enjoy a boat ride in Chiljka Lake and to watch dolphins. The region is dotted by a number of beautiful islands, which are also worth visiting. 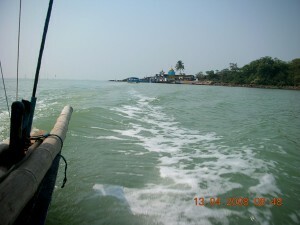 Boats are available from Satapada, which carry tourists to the scenic Balugaon side of Chilka. Most of the islands are also ideal for arranging picnics. Dolphin spotting and bird watching is a favorite activity at the place. How to reach Satapada: There are several options to reach Satpada. The nearest rail station is Balugaon. Buses are available to Balugaon to the lake. You can also reach Puri by train, from where regular bus services are available to Satpada. The closest airport of Satpada is located at Bhubaneswar, about 120 km away. 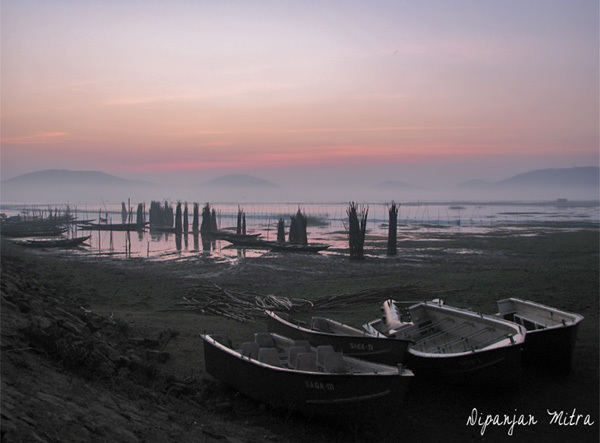 Best time to visit Satapada: Satapada welcomes tourist all round the year. Monsoons turn the sky dark and endless miles of clouds hover over the pristine Chilka Lake giving one of the most beautiful sights. Winters in Chilka welcome birds from all over the world. 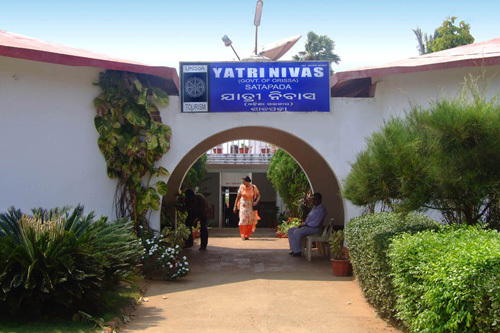 Lodging and dining facilities in Satapada: The OTDC (Orissa Tourism Development Corporation) Yatrinivas Tourist Complex is the most popular and well-equipped accommodation in Satpada. Located on the shores of Lake Chilka, OTDC Yatrinivas Tourist Complex is equipped with Suites, AC rooms as well as non AC rooms. We arrange booking for OTDC Yatrinivas Tourist Complex at Satpada directly from Kolkata. Dining facilities are excellent here, which mainly comprises ethnic Orissa cuisine. However, Western styled food is also served here. There are plenty of roadside eateries as well in Satpada, serving delicious prawns and crab preparations.